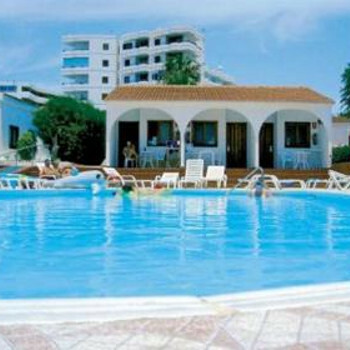 This attractive complex of studios and apartments offers comfortable self-catering accommodation. It is centrally located and therefore an ideal choice for all guests who want to be within easy reach of the resort of Playa Del Ingles. Have stayed at Rebecca Park before. The complex is very clean and very gay friendly. Let me go again as soon as possible! First impressions were very good and the staff were very friendly throughout our whole visit. Bungalows were basic as expected but did have microwave which other similar ones don't have. They were very clean and linen & towels were changed regularly. Ate the food sevred in the pool bar once and it was fine. There was no entertainment at the bungalows and it was perfect for a quiet relaxing stay. Very handy for walking to the Gran Chapperl, Jumbo, Kasbah etc. Try La Paderna in Cita CC for italian which we found was excellent and also La Toro in JumboCC. Also La Carreton just up the road from the GranChapperal was very good. Don't eat at the Olympic! The owner swore at us beacuse we looked at the menu and then walked away. Don't think he liked his restaurant being empty and the Yellow Rose opposite being full. Also go to Flora's Bar in Gran Chapperal. Lovely Dutch bar where a warm welcome is provided by Flora and she can provide you with any details you need abour where to go what to do etc. Drinks also less expensive than other bars in area. Food being served looked great unfotunately we didn't try it. Although we stayed Self Catering we did eat in the Restaurant and the food was lovely. The apartments were spotless and cleaned every day except for Thursdays and Sundays. Bedding and towels changed every other day. The maid did an excellent job. During our holiday it was my daughters birthday, and I asked the Director Pepe where the nearest cake shop was and he took me himself in his car to the most loveliest cake shop i have ever seen. Pepe was on site every day and he did not expect his staff to do nothing that he would not do himself!! All his staff spoke very good English which was good. The pool is quite small but big enough to swim and do a few lengths. It was clean as well. There is also a one strike rule and your out if there is any trouble. Whilst we were there one family were asked to leave after causing a huge commotion and fight through drink. They had enough time to pack there bags before being shown the front door. Although these bungalows are only two star you received five star service from all the staff. Would I return here. Yes in October 2008. If your looking for cheap clean accomodation, Rebecca Park is the place to stay. The hotel staff were great and they even have some english staff working there. No 18-30 groups allowed! Which meant you could have a good night out, but a good night sleep as well. I thought Rebecca Park Bungalows was one of the best places I have stayed in. The staff are really friendly the rooms are really clean and are cleaned more or less everyday. The location is really good too as you are so close to loads of shops and bars. I would like to visit Rebecca Park again. I went on a college trip with 10 other people, 9 pupils and 2 teachers. They catered well and provided nice food which you can have at the pool side, in the bar provided or even have it delievered to your room!! We got rooms 120-125 and we were all happy with what we got. Found a few ants in the bath which soon dissappeard with abit of hot water on them. However, this didn't bother us. The rep that we had (Kate) was very helpful and helped us with our excursions. The cleaners came in 5 or 6 days out of the 7 we were there. The location is really good as it is near the small shopping centre up the road and around the corner from the main shopping centre Yumbo. However the beach was about a 20 minute walk away. There was not much entertainment in the hotel but we wernt bothered about that as we went out most nights. I would love to visit this hotel again but for a longer period and with family. We were also really pleased that on our terrace part we got 2 sun loungers. One of the worst points of the hotel was that the pool was so cold. Even with the sun on it all day it was still freezing but it was nice if you get straight in and not worry about the cold. As far as Cleanliness goes it definitely has to be 5-stars, the place is spotless, you leave the house in the morning and come home to find your dishes done, and your bed made! What more could you ask for!! The food was lovely and really cheap, most meals cost about 5 euro and that would be things like, burger and chips, chicken nuggets and chips etc. Also there is nothing as nice as being hung over the next day and getting your breakfast delivered right to your door, and I mean a nice freshly cooked breakfast, its not one of these places that cook all the bacon and eggs at like 8:00am in the morning and wrap it in cling film, for you to chew trough 4hours later! It was as fresh as my hang-over! I definitely give the food 5 stars!! Being 23 I don't have kids, but as far as entertainment for kids goes there really is nothing within the hotel, a pool is really the limit for the toddlers, and then there is an adults size tennis court for the rest of us. Period! Yet you are right in the heart of everything so I wouldn't worry about it too much. I would definitely return to Rebecca Park in the future. Rebecca Park is a fantastic place to stay, we had one of our best holidays ever there! The cleaniness was second to none, staff were very friendly and helpful. There could have been more variety of food, however what there was was delicious and freshly prepared. It didn't matter at all to us that there wasn't entertainment on site (as this is normally trite anyway!) It is so close to the Yumbo and other bars, nightlife, shops etc. A lovely peaceful resort very handily situated! Well, here we are again, just keep going back. [3rd time at Rebecca Park]. Every time we visit, we like to look at other complexes, but Rebecca is perfect in cleanliness and location [quiet and friendly but if you want action then its not far away]. Although rooms 104 and 105 are pool view, they're not. The manager will do his best to sort out any problems if your not happy.